From L. Ron Hubbard’s discovery of the four factors requisite to any auditing session—Help, Control, Communication and Interest—came a new era of case gain extending up from the bottom of The Bridge. Known as the Deadly Quartet, these factors furnished both the means to eliminate the barriers to case advance and a powerful dissemination tool. Before Interest can awaken, the other three factors must be addressed, and in particular that greatest ability of the human race and make‑break point of a being—Help. After demonstrating the Deadly Quartet in the London Congress on Dissemination & Help, Mr. Hubbard provided the technology for starting a preclear upward with Presessioning, the processes and procedures to get anyone in session: willing to be helped, under the control of an auditor, in communication and interested in own case. Moreover, here is his first fully embracive statement on auditor presence and altitude—essential factors enabling the preclear to confront his case, and bringing into practical reality the auditing maxim: Auditor plus pc is greater than bank. As Mr. Hubbard’s only ACC at Saint Hill, this is where he codified modern auditing. It therefore stands as his premier ACC for all auditors. 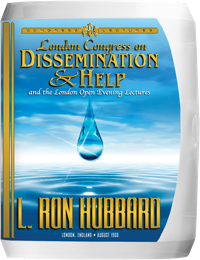 That program, as announced to attendees of the London Congress on Dissemination & Help, would span the next four weeks and encompass twenty-five L. Ron Hubbard lectures. It further would go down in Scientology history as the start of a new era of case gain—extending from the very bottom of The Bridge. All unfolded from Mr. Hubbard’s early 1960 discovery of four factors requisite to any auditing session. Which is to say, these are factors which, if omitted, prevented any session from taking place at all. Hence, here were the components defining the term “in session” with a practical thoroughness that had never before been achieved. 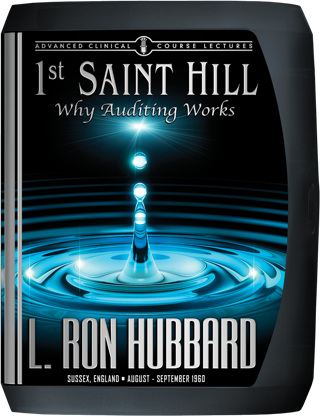 These factors—Help, Control, Communication and Interest—soon became colloquially known amongst Saint Hill auditors as the “Deadly Quartet,” owing to their telling impact on the barriers to case advance. Indeed, so pervasive were these factors that they even addressed and handled the reasons why a person who had never heard of Scientology was not in session, thus bringing a new and powerful tool to the cause of dissemination. So it was, on August 8, that bus rolled onto the Saint Hill grounds bearing the students who would now vanguard this new era. Over that next month, they were to hear lectures truly monumental in scope. These, in fact, are his first fully embracive statement on auditor presence and altitude—essential factors by which an auditor gets the preclear to confront his case, thus bringing into practical reality one of the oldest auditing maxims: Auditor plus pc is greater than bank. Here, too, is the full technology of Presessioning, the processes and procedures to get anyone fully in session—that is, willing to be helped, in the control of an auditor, in communication and interested in own case. While, in what amounted to Mr. Hubbard’s overriding datum, he spoke of the ability to help as the greatest of human abilities. And, the destructive power of a being’s own failures to help. Motion—why, when a process on motion is run, withholds start stripping off. Finally, and to cap it, Mr. Hubbard presented Theory 67, a breakthrough on the Sixth and Seventh Dynamics providing new insight into beingness, havingness and why a thetan introverts into the mest universe.